Wario Land: Shake It!, also known as Wario Land: The Shake Dimension in Europe and as Wario Land Shake (ワリオランドシェイク) in Japan/Korea, was developed by the Japanese company Good Feel, Co. Ltd., headed by the former CEO of the now-defunct Konami Computer Entertainment Kobe branch Shigeharu Umezaki. It includes an animated opening and ending, created by anime studio Production I.G. This is the first game in the series to feature hand-drawn graphics rather than pixelated sprites. 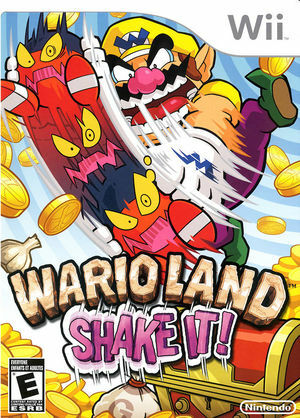 Wario Land: The Shake Dimension follows the graphical style of earlier Wario Land games on the Game Boy, Game Boy Color, Virtual Boy, and Game Boy Advance. The player holds the Wii Remote sideways and shakes it to attack enemies and perform special moves. These include grabbing items and enemies and shaking them to produce coins, and grabbing a rope flipping upwards. The graph below charts the compatibility with Wario Land: Shake It! since Dolphin's 2.0 release, listing revisions only where a compatibility change occurred. This page was last edited on 16 January 2018, at 23:24.